Ripples for a truly realistic duck decoy. The duck Imitator decoy is a stand alone jerk Free rig eliminating ALL restrictions and limitations. No more shy ducks just "Doing What Ducks Do"
"S.O.A.B" Hunting Company- Sharing One Another's Burdens, And in this way you shall "FulFill" the Law of Christ (Gal 6:2). 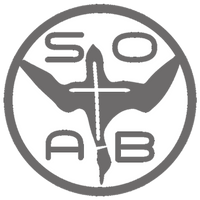 A percentage of every unit purchased, including all other SOAB Hunting income streams, goes to the SOAB "FulFill" Fund to give back to others who've fallen on hard times. Make sure to follow SOAB to see the Soab-er Effect in action as Ted shares Soab-er stories. Great product! Nice to add motion to your spread. Bought 3 last year after season so used them opening day . Had my limit in 45min. Also you will never buy a decoy of any kind that the owner of the company will personally call you. Best investment out of all my decoys. This decoy is AWESOME, realistic, and performs all the necessary actions needed to draw in the birds! So simple to set up without a lot of “clap-trap”, wires, pulleys, etc.—so easy! Love it!!! GREAT VALUE!! !